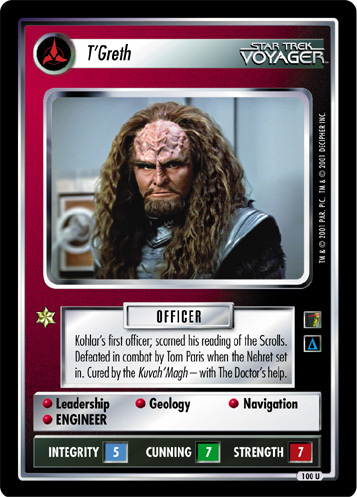 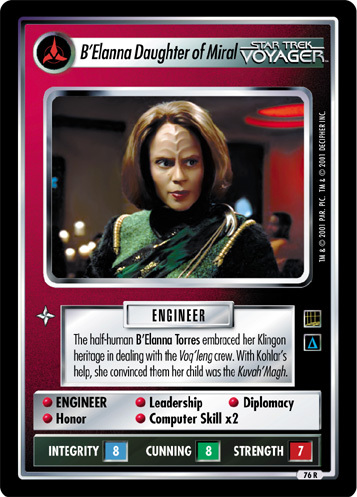 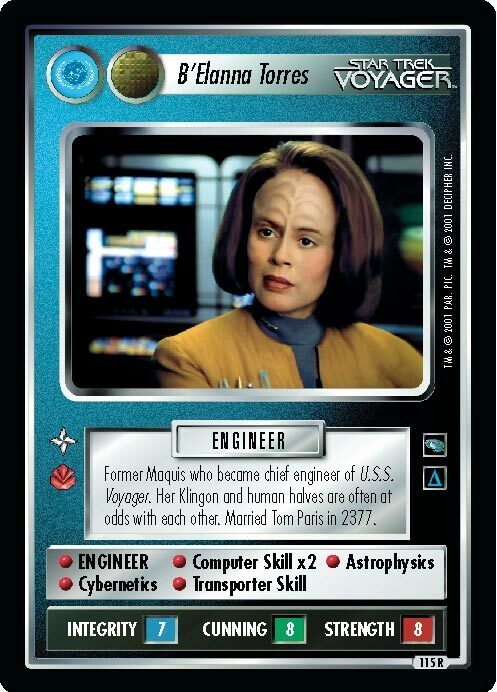 An aggressive 1/2 Klingon, 1/2 human, B'Elanna Torres left Starfleet Academy during her second year. 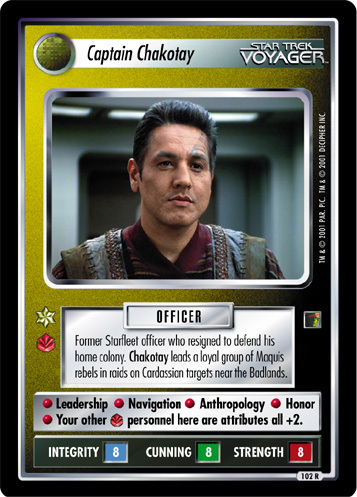 Joined the Maquis after Captain Chakotay saved her life. 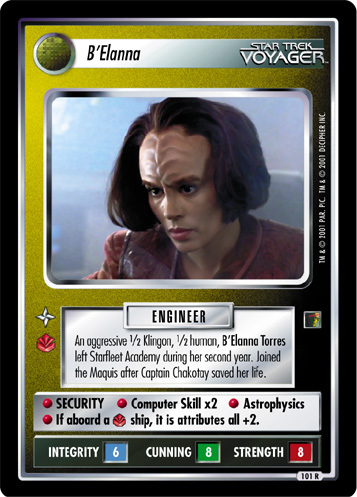 • SECURITY • Computer Skill x2 • Astrophysics • If aboard a ship, it is attributes all +2.